A Devon Rex cat from NC gets dressed up to go on outings in the stroller with her petmom. 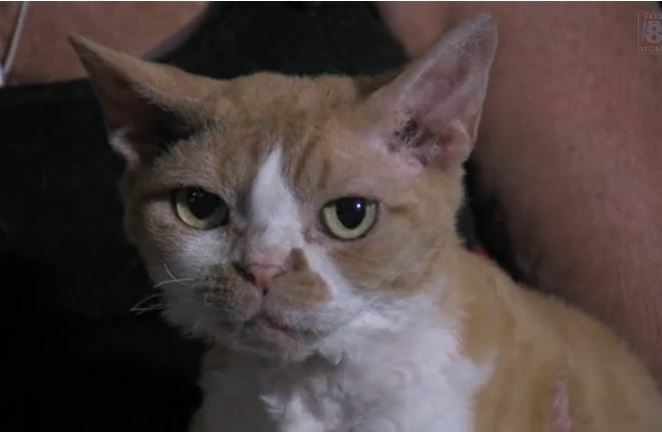 A recent edition of the feature Roy’s Folks on FOX8 TV in North Carolina is about a woman who has made over 40 dresses for her Devon Rex cat, who she fondly calls her baby and closest companion. 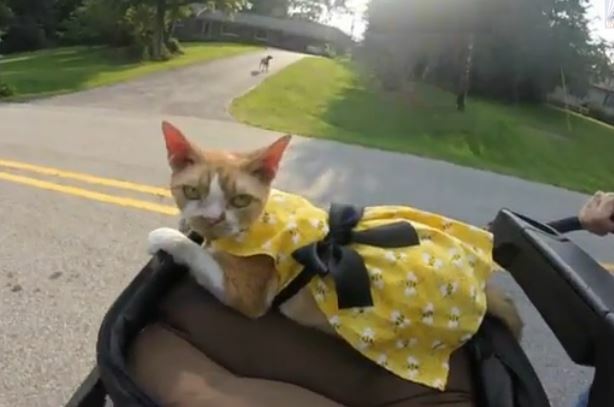 Every day she puts one of the dresses on the cat and takes her for a ride in a stroller.